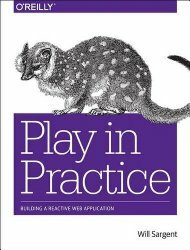 Experienced developers looking to integrate the Play framework into their systems will find everything they need in this practical book. By examining the details of a real-world application, you’ll go into the details of making Play 2.4 work as a system—using non-blocking actions, isolating services, recovering from failure, using CQRS and microservices, providing backpressure and rate limiting, deploying applications, and scaling up.Author Will Sargent is a frequent Play contributor and a Typesafe consultant who has ample experience working with many different web application frameworks. If you’re well-versed in Java and Scala, you’re ready to get started.